Many recreational shooters are not familiar with the benefits of stripper clips, or if they are, may not know how to use them properly. If this describes you, fear not, this article is written for you. 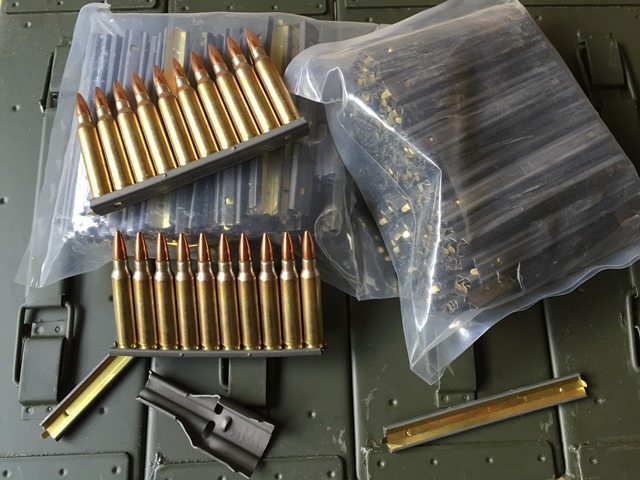 We will discuss the purpose of stripper clips, their benefits for recreational use, how to rapidly load ammunition housed on stripper clips, and provide some best practices for DIY stripper clippers. Off-road enthusiasts have long recognized the value of incorporating ammo cans into their fabrication projects as a cost-effective and rugged, waterproof storage solution. Jeeps, ATVs and other off-road vehicles operate in unforgiving terrain and sometimes in nasty weather. To make matters worse, many of these vehicles don't have tops or have limited dry storage capacity to shelter equipment and valuables from the elements. Ammo cans are the perfect solution in many cases, and are a natural complement to the utilitarian nature of the off-road hobby. Please read on to see a few examples of how creative off-road enthusiasts have incorporated ammo cans into their off-road trail machines.